Trails are primo, Evolution Bike Park is open — and it's Bike Week! 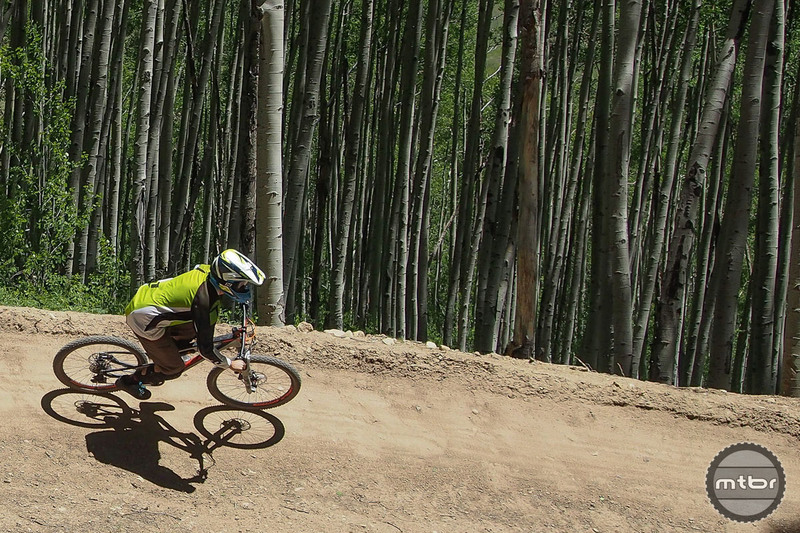 Ripping the new Teaser trail at Crested Butte’s Evolution Bike Park. Editor’s Note: Last September, Mtbr features editor Jason Sumner fled Colorado’s crowded Front Range and moved his family to Crested Butte, one of the world’s premier mountain biking destinations. Crested Butte Chronicles is Sumner’s new on-again, off-again column about living and riding high in the Colorado Rockies. 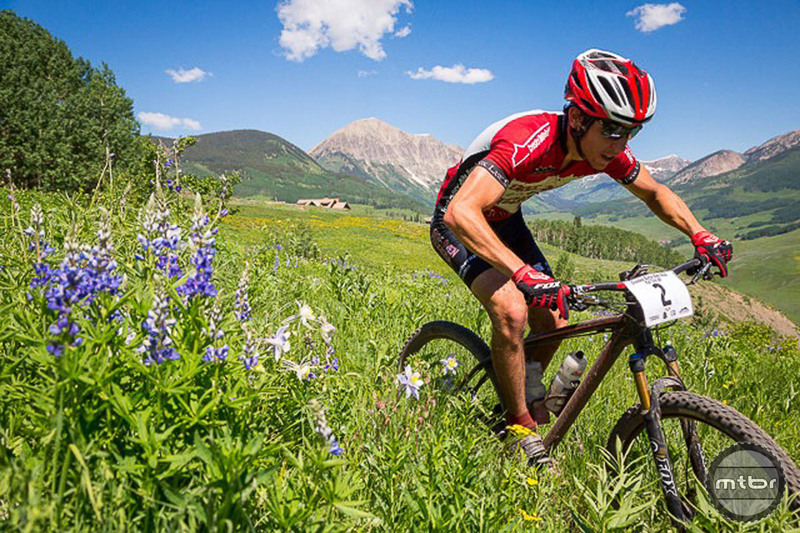 It’s hard to say exactly when Crested Butte’s mountain biking season officially kicks off. Locals have been blissfully spinning laps at nearby Hartman Rocks since the middle of spring. But it’s only in the last few weeks that the trails on the northern end of the valley have really started opening up. It happens in waves, first lower elevation options such as Caves, Cement Creek, Lupine, Tony’s, Upper, and the Upper Upper trail melt out. Then Strand Hill, Deer Creek, Snodgrass, Happy Hour, and Fence Line. And finally the higher stuff, Doctor Park, Teocalli Ridge, 401 and on and on. The local PR peeps claim there are 750 miles of trail in the Gunnison-Crested Butte area and I have no reason to doubt them. I just know I haven’t come close to riding it all — yet. Not all the trails are “good to go” right now. For daily updates, check in with the Crested Butte Mountain Biking Association and their Facebook page. But if you’ve been waiting for the perfect time to head this way, this week is about as good as it gets. 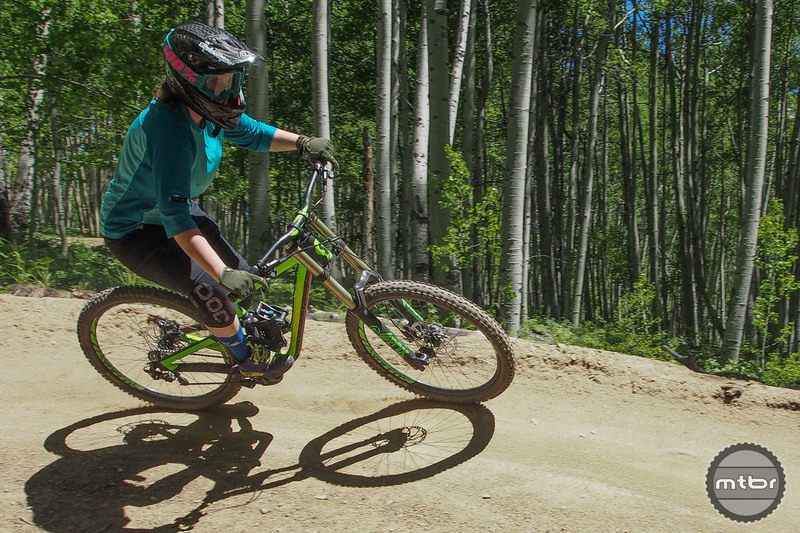 On June 11, the lifts at Crested Butte Mountain Resort’s Evolution Bike Park started spinning, offering easy access to most of the park’s 30 miles of trail that range from beginner cross-country to full-pucker-factor downhill gnar. Evolution, with its 29 total trails and about 1000 feet of vertical, will never be confused with Whistler. But it’s a great compliment to the valley’s immense trail network, and a good place to catch your breath and rest the legs after tackling a few days of backcountry XC adventuring where just about every ride starts at 8900 feet — and then heads up. About the bike park scenery… It’s pretty good, too. Same goes for lowlander beginners, who will find plenty of newbie-friendly XC track that’s lift accessible, so you don’t have to suffer through altitude acclimation just to spin around in the woods. And if you’re looking to try a new bike (or don’t have your own), Evolution just refreshed its entire demo fleet thanks to a new partnership with Scott Bikes. In the week leading up to the grand opening on the 11th, a quartet of staffers from Scott’s Salt Lake City office descended on Crested Butte, and helped the CBMR shop team build up 70 brand new bikes, ranging from Gambler downhill rigs, to Genius LT and Genius LT Plus trail bikes, to women’s specific and kid’s rigs. 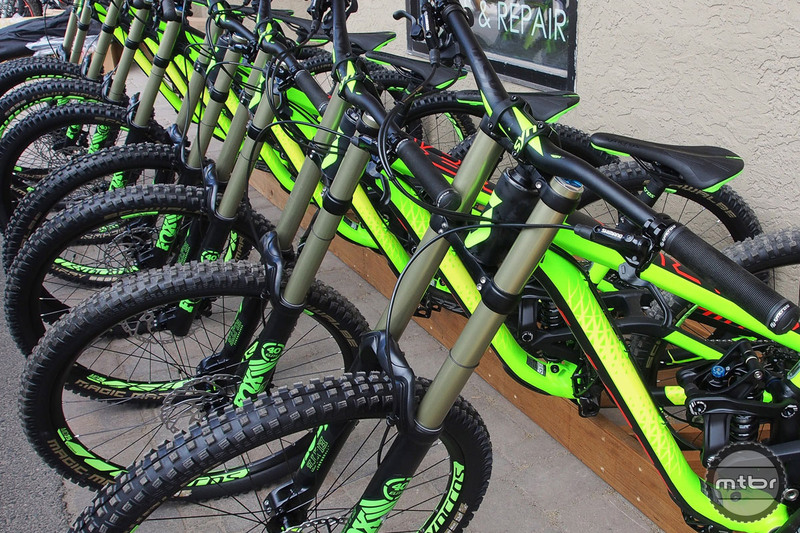 Brand new Scott Gambler downhill bikes ready to shred the Evolution Bike Park. Unless you rode the park late last season, you’ll also be treated to a pair of new trails. 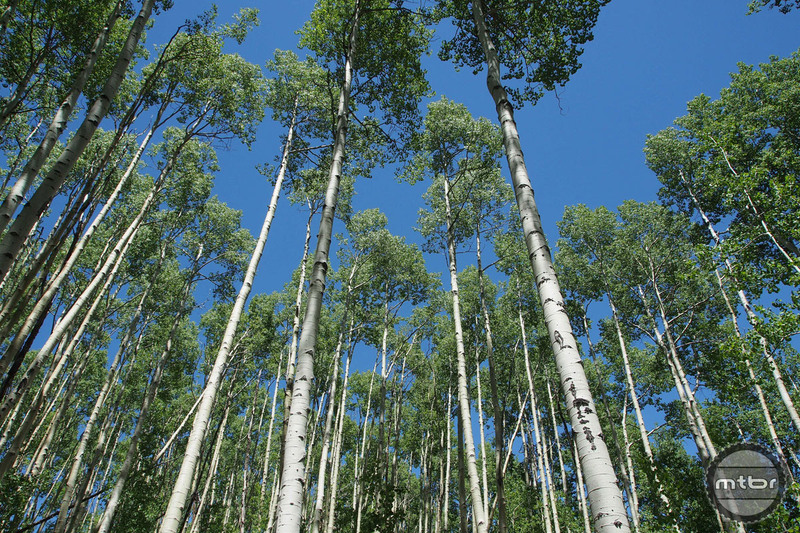 Teaser is an intermediate, high-bermed flow trail that zips through a large groove of mature Aspen starting near the top of Prospect Road and finishing at the base of the Painter Boy lift. It’s the same trail that was used last winter on the final day of the Fat Bike World Championships, except traction is a lot better this time of year. Meanwhile, the Happy Hour trail was a collaborative effort between CBMR and CBMBA, which connects the bike park to the town trails. It rides both ways, but downhill is certainly the preferred direction thanks to a mix of flow, berms, and some great alternative lines if you like to get the wheels off the ground. This coming week also features the 36th (yes, 3-6) running of Crested Butte Bike Week. 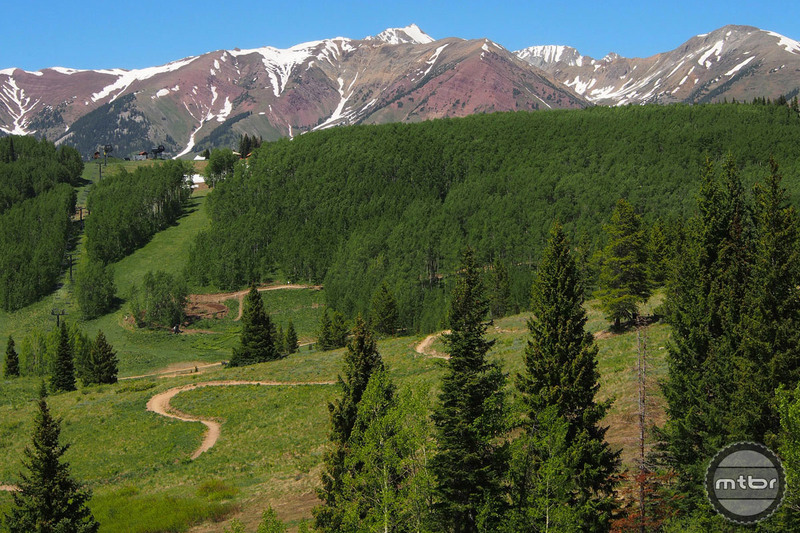 Highlight events include the world famous (or maybe infamous) Chainless Downhill Race from the top of Kebler Pass to town. 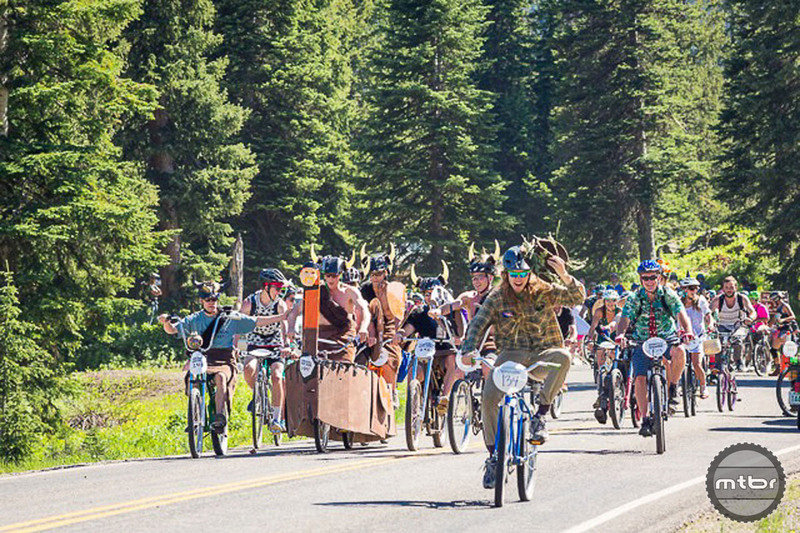 It’s classic Crested Butte: Dress up, ride bikes, party hard. Not necessarily in that order. Start time? 4-20 of course. Bike Week also includes the Fat Tire 40 cross-country race on classic trails such as Deer Creek and Stand Hill (And yes, it’s a 40-mile race that’s almost exclusively on singletrack). There’s also the Gravity Slave downhill at CBMR, and a lots of clinics, guided rides, live music and parties. It’s a true celebration of all things mountain bike in one of the world’s best places to ride mountain bikes. Enough said. Check out the full Bike Week schedule below — and then drop me a note when you get to town. Let’s go for a ride! 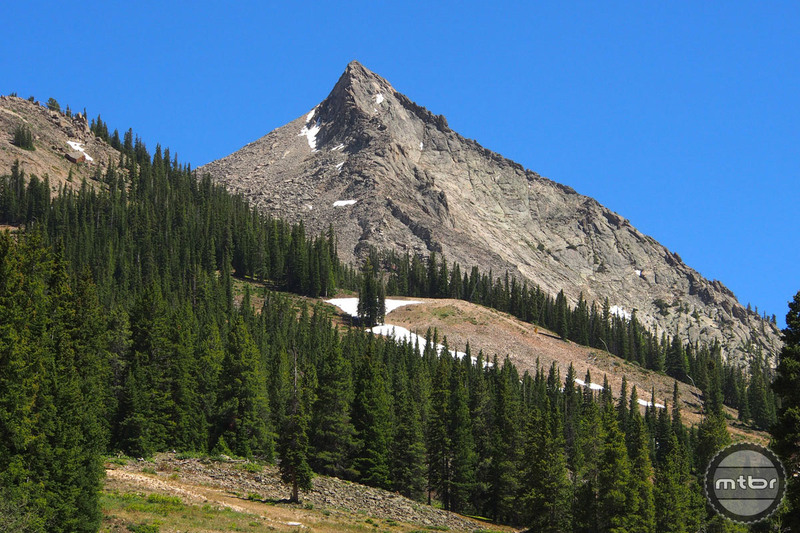 The famed peak of Mount Crested Butte is accessible via a 15-minute chairlift ride + 45’ish-minute hike. The view from up top is world class. gO Clinic 10am – FREE! 8th Annual Fat Tire 40 8am, CBMBA Benefit, free entry to Trout Steak Revival. 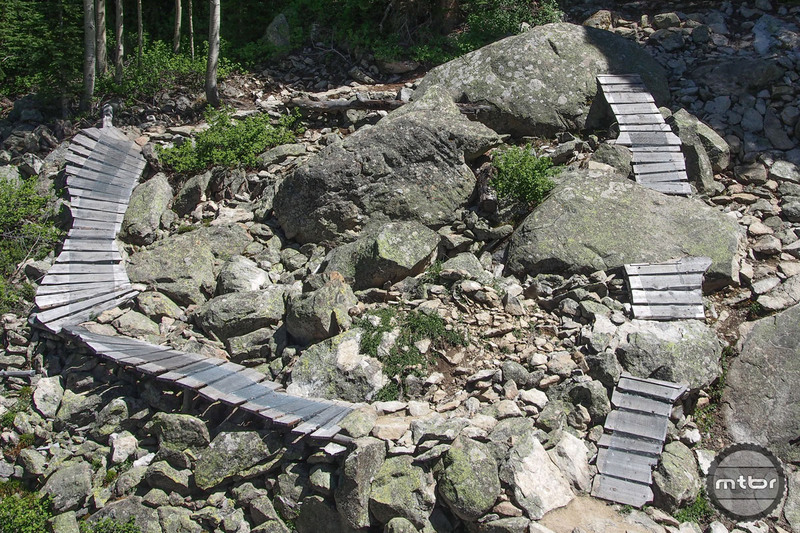 The Evolution Bike Park includes everything from beginner XC trails to gnarly DH rock gardens. Scott Gambler downhill bikes ready to shred the Evolution Bike Park. Ripping the new Teaser trail at the Evolution Bike Park. Even if you’re new to the sport, the CBMR bike park has something to offer. 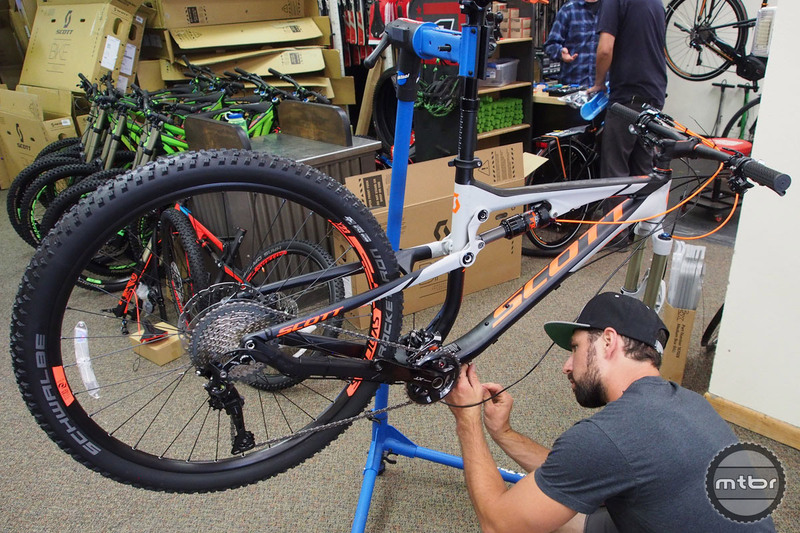 The crew from Scott Bikes descended on Crested Butte to build up 70 new bikes for the CBMR rental fleet. The tree game around here is strong, too.